Mint condition/original owner. 2/2/2 tiled entryway,large tiled kitchen w/lots of cabinets & countertops, all appliances, stove backsplash,two pantries, breakfast bar & breakfast area,dining room,large living room, den or possible third bedroom, spanish lace ceilings, large master bedroom /shower only,walk in closet, large guest bedroom w/sliding glass doors leading to screened in porch,inside laundry room w/sink/cabinets,screened in two car garage, private backyard, new windows,new a/c 2017, new roof 2013, gutters/downspouts, well/sprinklers , pull down attic stairway, centrally located near all conveniences and suncoast pkwy. Must see! 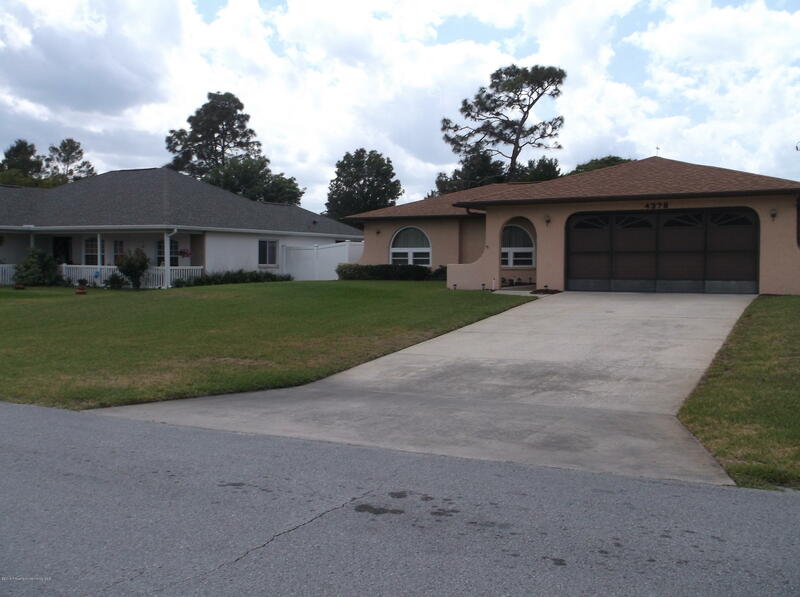 I am interested in 4379 Lamson Avenue, Spring Hill, FL 34608.